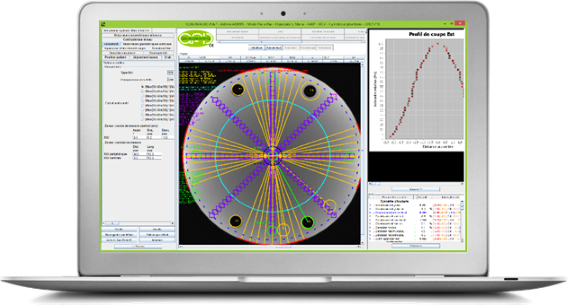 COMPREHENSIVE, POWERFUL AND MANUFACTURER-INDEPENDENT TOOL TO ANALYSE AND TRACK THE QUALITY CONTROLS OF YOUR RADIATION THERAPY AND MEDICAL IMAGING INSTALLATIONS! No pull-down menus, just 3 buttons are all it takes to: Import, Analyse and View. 1st click - Select the images to be analysed. 2nd click - Analyse the selected images to display 2 analysis reports on the screen. 3rd click - Accept the analysis to generate 6 PDF reports and create a point in the trend curves for each tested parameter. 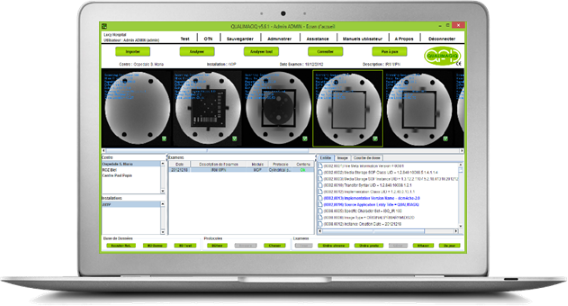 Flexible and realistic workflow: you can perform your QC measurements (images and relative dose measurements) in whatever order you like. If you forget a measurement or an image, or if the acquisition was poor, you need only redo the one and not the entire series. No false positives or false negatives given that the conformity of the QC measurements relative to your protocols is verified prior to analysis. Signal extraction masks are systematically realigned on the images to be analysed. No time is lost during acquisition. 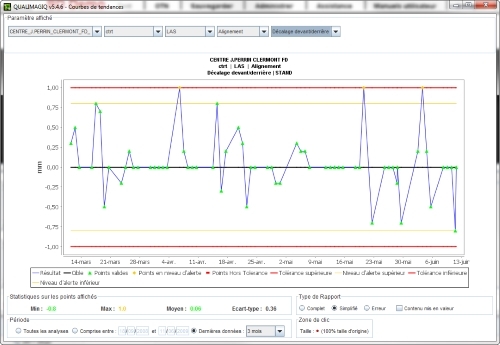 A Step by step mode enables you to parameterise the analysis methods and observe the effects of this parameterisation. Even though it is remarkably adaptable QUALIMAGIQ use is highly secure due to the systematic backup of previous parameterisations and their easy upload. QUALIMAGIQ edits 6 different PDF analysis reports: the complete report with graphs and analysed images, the simplified version which consists of the list of the tested parameters, and finally the simplified report with only those para-meters with faulty values. All of these reports can be parameterised: target values, tolerances, selection of which tests to include or exclude from the report and which to highlight. Simultaneously view as many trend curves as you like and just click on any point of a curve to directly access the associated PDF report. Use the Test mode to verify the constancy of the analyses of each new QUALIMAGIQ version in 3 clicks. Use the Demo mode to complete your training on your own with perfectly set exams. What qa software can do as much as qualimagiq in its field?! Interface without pull-down menus: just 3 buttons is all it takes, organised to guide you and accompany you in your work. 3rd click - Accept the analysis and generate 6 PDF reports, create a point in the trend curves and transfer the analysed images from the current work file to the archives file. In the step-by-step mode: you can completely parameterise the signal extraction masks in the images and/or the analysis methods. Even if it is MAGIQ (!) the software is not a mysterious black box, you remain master of your quality control and you can observe how QUALIMAGIQ carries out its analyses. This mode is also a wonderful tool to familiarise oneself with and train on quality control analyses. Developed in a partnership with the Video Image and Communication team of the Research Institute in Communication and Cybernetics of Nantes, as well as with various European health institutions, the majority of our analysis methods are the subject of research projects and international publications. 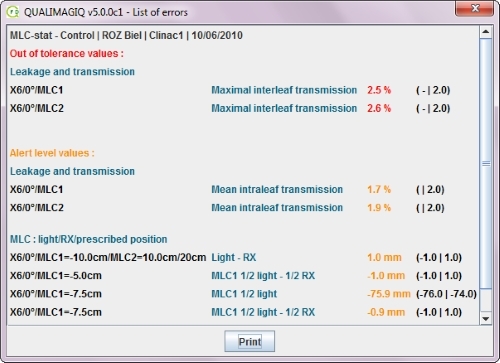 All of the signal extraction masks parameterisable by the user are systematically and automatically realigned on the images to be analysed, ensuring correct results even if the test objects have not been perfectly aligned with the imager. You save precious time during image acquisition by eliminating the need to check and adjust by iteration the alignment of the phantoms with the imager. Before analysis, the images are automatically sorted and controlled by the software, to make sure that they are in accordance with the protocols which you have declared. QUALIMAGIQ thus eliminates all risk of false positive or negative results. Enables you to access the list of all of the QCs which you have performed and the trend curves for the results which you selected from the list of all of your results. Here as well everything is easy, no need to manipulate files: just select the installation and the analysis parameter which you wish to view. The system then presents the trend curve for this parameter over time with the associated alert and out of tolerance levels. Click on any point of the curve to directly access the 6 PDF reports associated with this measurement. Another screen enables you to access the list of all of the QCs which you have performed with QUALIMAGIQ. This list can be filtered by date, installation or type of QC. You can copy and paste the templates supplied with the system which are generally in conformity with the standards applicable in your country, or save your own personalized templates. Basic users can analyse images. Intermediate users can also validate or reject an analysis. Super-users can also set protocols, analysis methods, target values and tolerances. The program administrator can declare users and software paths. You may if you wish grant us remote access to your host station. In addition, through a simple right click on any exam, QUALIMAGIQ automatically sends an e-mail request for assistance on this problematic exam to our after sales and deposits a compressed copy into your personal FTP server account together with all your program parameterization which is contained in a single directory automatically compressed by QUALIMAGIQ. Even without an internet connection our after sales can still function by providing us with this zipped directory which enables us to work in our office using your settings. Over 95% of servicing consists in assistance setting analysis methods. Furthermore, QUALIMAGIQ is designed to update its software on its own. A test mode is available which enables you to follow the evolution of the analysis results as the software versions evolve. Hands-on training begins with basic use of the software (1-2 hours). Together we complete the prescriptions for representative patients associated with your QC (1-2 hours). We walk you through image acquisition and QC measurement for the first QA (1-3 hours). 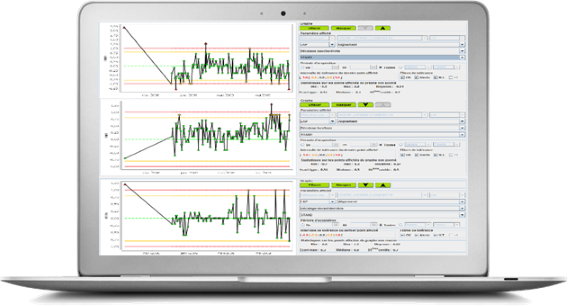 We parameterize the software with you, so it adapts to your QA using the QC measurements we acquired together: protocol settings, calculation methods, tolerances and target values (1-3 hours). By the end of the training session, overall quality assurance (not just QUALIMAGIQ) is operational: you need only continue routine application, repeating the acquisition which is a patient dossier! To complete your training you can use QUALIMAGIQ in Demo mode, i.e. with a special database containing sample images for all types of installations and quality controls managed by the software. These SPECIFICATIONS correspond to QUALIMAGIQ in Standalone configuration. note that QUALIMAGIQ is also AVAILABLE in a Client/server version. Please Ask us for FURTHER details concerning SPecifications with This C/S configuration. WHICH MEDICAL IMAGING MODALITIES does QUALIMAGIQ support? WHICH radiation therapy devices DOES QUALIMAGIQ SUPPORT?